Mahiyanganaya is a town situated at the Mahaweli River close to Knuckles Range. According to the Mahavamsa chronicle, Mahiyangana was the first place in Sri Lanka visited by the Buddha. He preached to the demons and converted them and some of them became guardian deities of the Buddhist religion later on, Saman, the god of Ratnapura and Adam’s Peak, was among them. 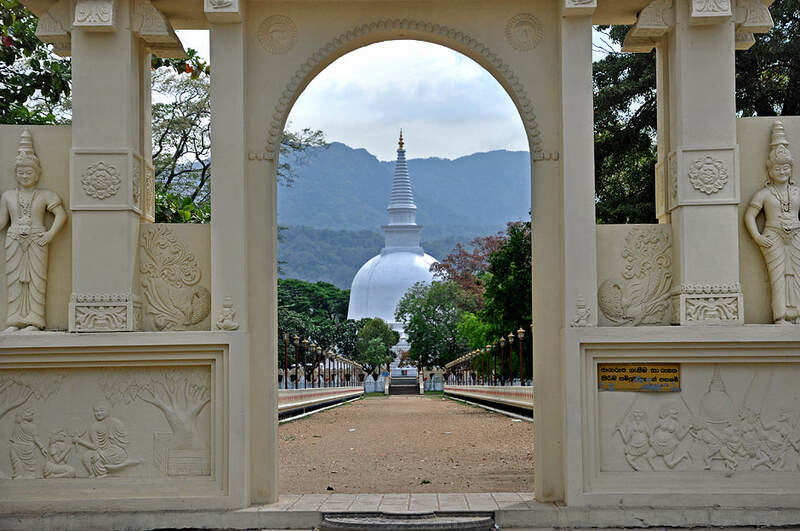 According to local beliefs, the stupa marking the place of the Buddha’s sermon is believed to be the oldest one in Sri Lanka, dating from the pre-Anuradhapura period. A new temple in the northindian style of the Mabodhi temple, which is at the place of Buddha’s enlightenment, can be seen close to the Mahaweli bridge of Mahiyangana.